I’ve been a Perlen customer since 2012 and my beads n’ coffee friends are also long time customers. It’s a store in Denmark and they carry a wide range of beads, including Pandora and Trollbeads. We even have a saying, ‘Perlen is our friend’, because we like the low prices and free shipping. 😀 In order to see the low prices you need to make an account and log in, because depending on where you live, the VAT might be taken off. Anyway, here is their house brand Beauty String Leather Bracelet. I love it! 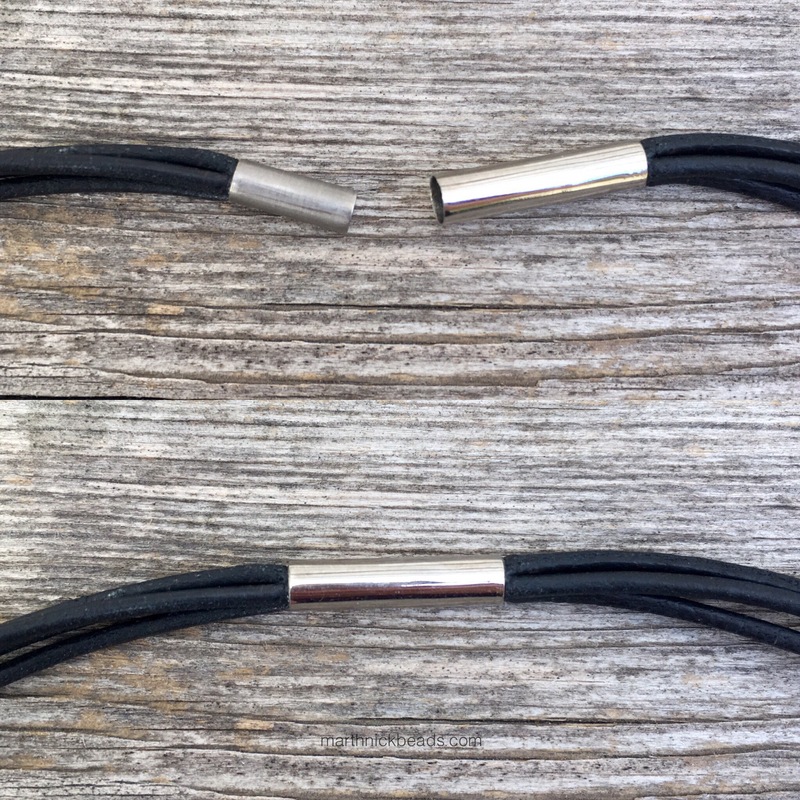 It comes in different variations and this one below is the Double Black and it has four strands and a 3.5mm lock diameter. The six strand ones have a 4.3mm lock diameter. It does up with a magnetic fastening. The side on the left fits into the tube and closes like this. I’ve been wearing it for several days now, on a couple of nature walks, doing household chores and it was very comfortable. Here I’ve got one of every brand I collect on the bracelet to show how they look. 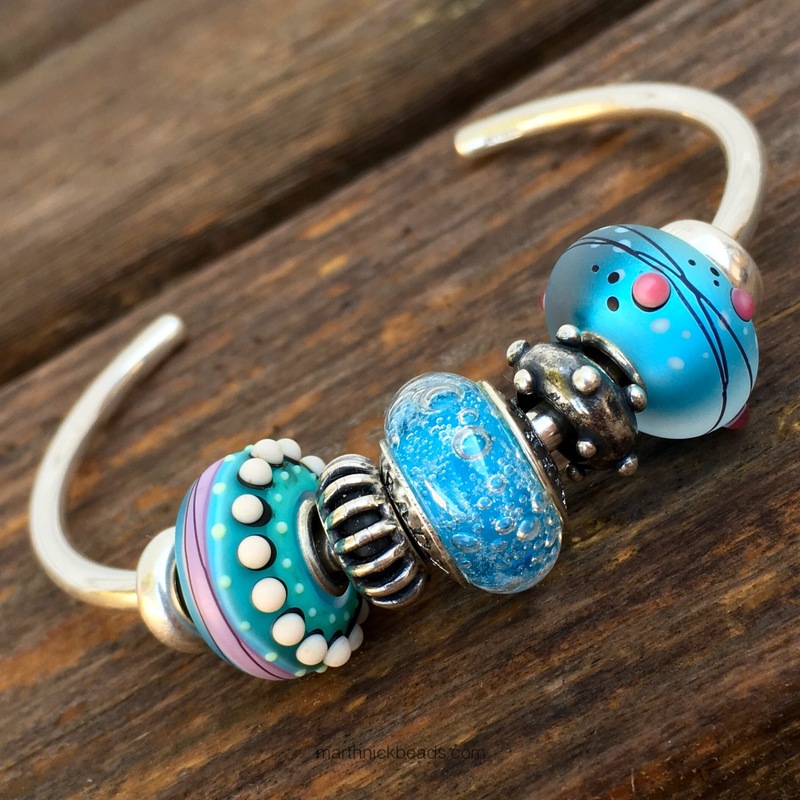 The bracelet works well with Pandora, Ohm Beads, Redbalifrog, Elfbeads and the Perlen Beauty Beads, of course. I found Trollbeads to be a tight fit so I probably wouldn’t put those on too often. My Faceted Aurora below slid on really easily, though. 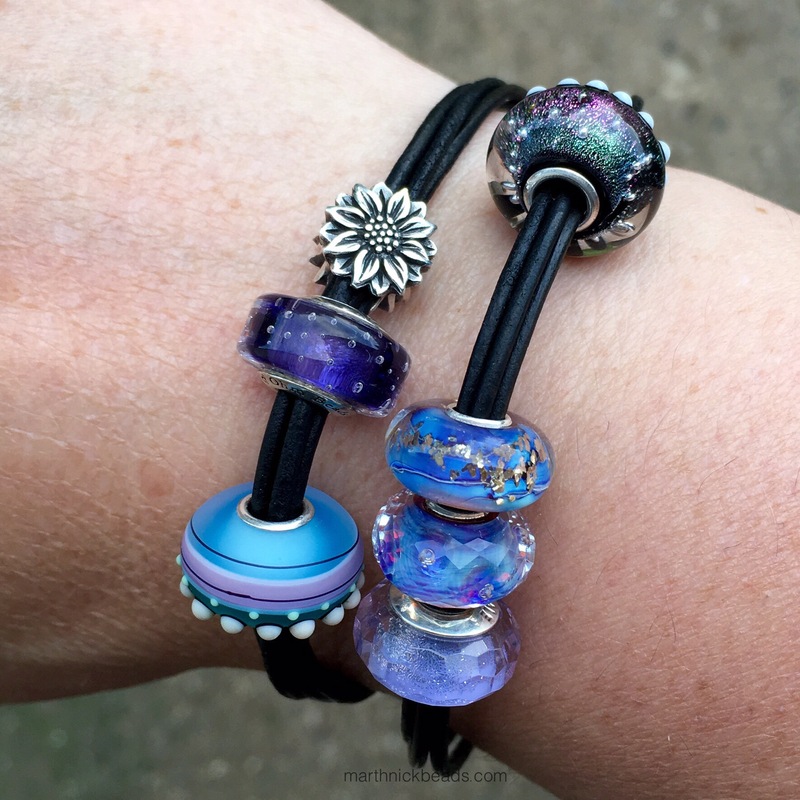 I think these bracelets are awesome for Ohm Beads. 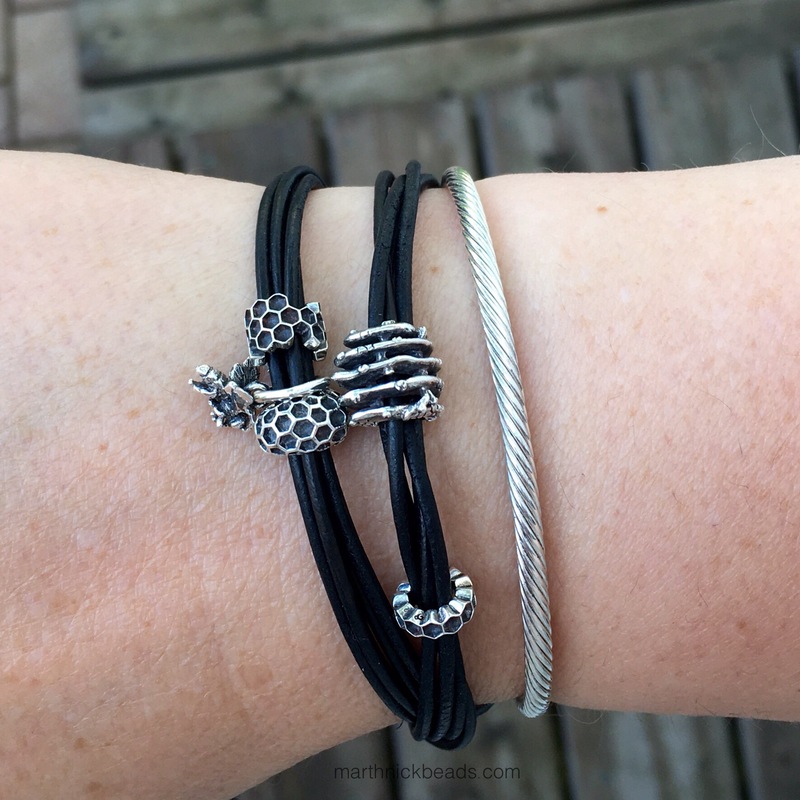 Here is the Bee Ohm collection, except for the glass, on the black leather. So now for the Beauty Beads, also a house brand of Perlen’s. 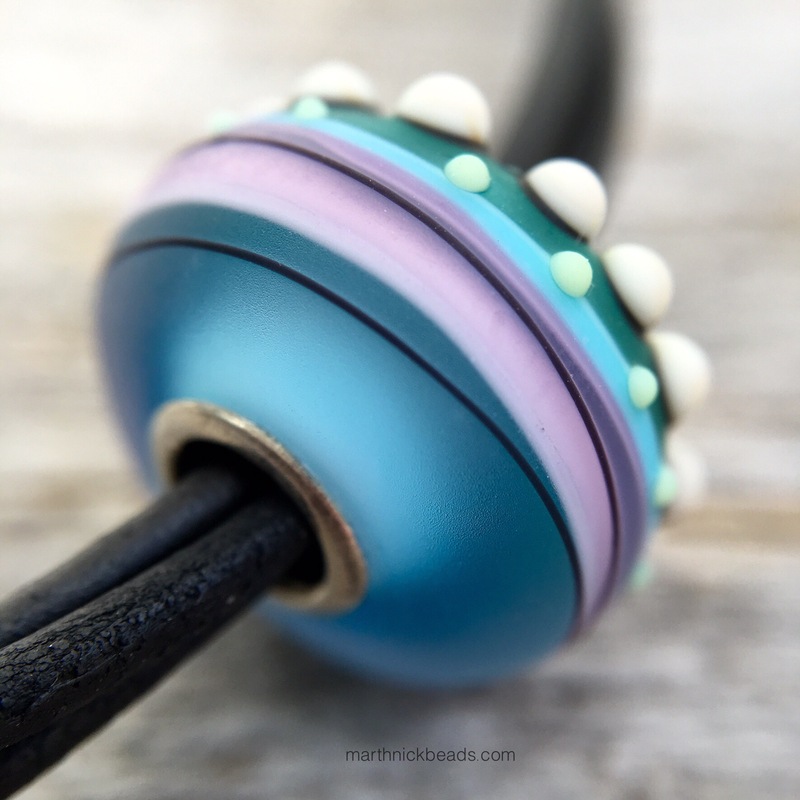 There are several types and I’ll show four more beads tomorrow, but wanted to show some pictures of these amazing matte glass ones. They are a good size, being bigger than Pandora or True Beadz. They still look good with other beads though, as seen here. In the photo below, the one on the left is called Sea Urchin, Blue and on the right is Frozen Universe. As a collector of mainly big brand beads, I’m no expert in artisan beads, but in my opinion these are really well made. The little dots are really evenly spaced and the colours are crisp. Here’s a macro shot of the Sea Urchin. 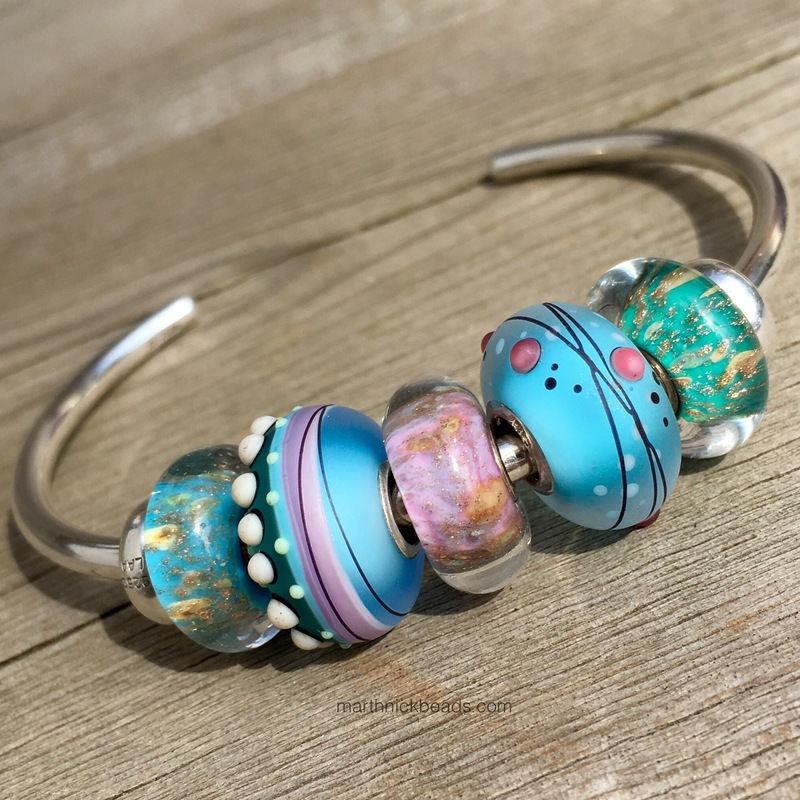 And another bangle, this time with Trollbeads Spacers and an Alchemy True Beadz in the middle. Finally, I’ve got it on the black leather with the Ohm Beads Luna in the middle. Samantha from Instagram mentioned the beads reminded her of the old cartoon The Jetsons. I totally agree and so this combo was inspired by her. 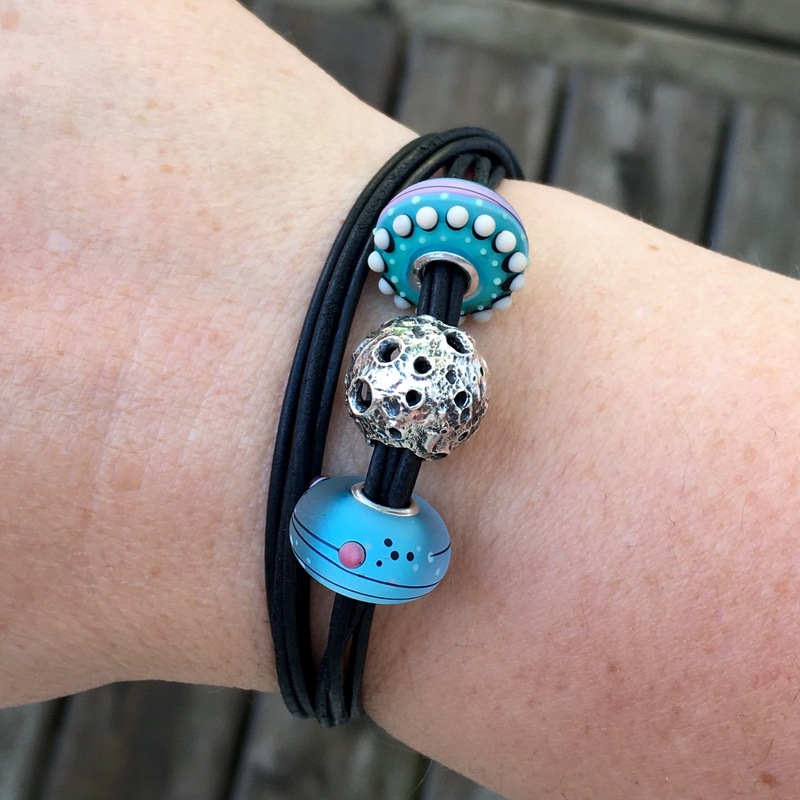 I will be getting a lot of use out of this Beauty String Leather Bracelet and these beads. I’d love to hear if anyone is thinking of getting one! I’m in love! Great photos! 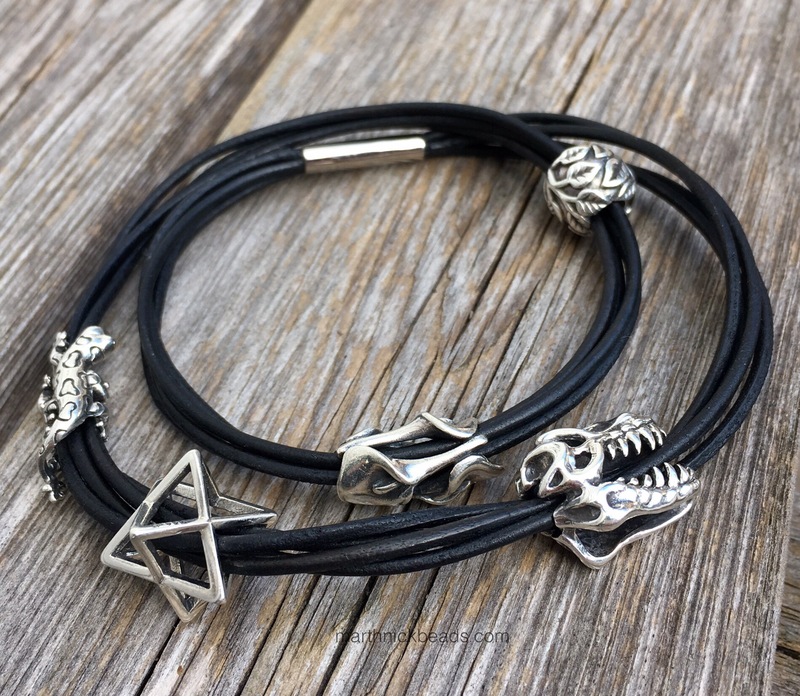 The silver pieces look very nice on their leather bracelet. I think it was a great idea to show how all of the brands fit on it. Thanks April! 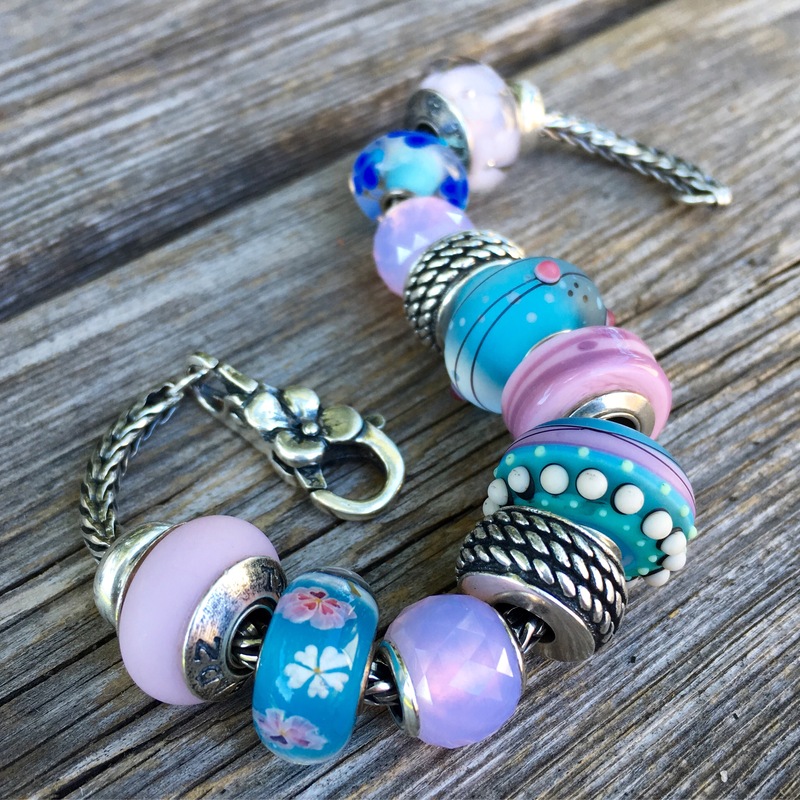 There are just so many nice beads and bracelets out there. I’ve been wearing the leather almost every day because it’s still a bit hot out! The leather bracelet looks amazing. And those beads are perfectly tuned. I also watched them, they are nice. Thank you for the beautiful photos. Thanks for reading, Rusiana! I really like these beads and am glad you enjoyed the photos.